- Offer a variety of refreshments, snacks, and other items to keep you PUMPED UP at Pump It Up! There is free on-site parking and more additional parking available behind Pump It Up. Birthday Party Event Hosts receive a special parking spot right in front of building entrance. Infant Changing Areas are located in both men and women restrooms. If you need assistance with your stroller, please see the front desk. Also, we have a ramp entrance available. Please see a staff member for more information. Water fountains are located near the lobby, Arena A, and Arena B. Hand Sanitizer is located in every area throughout the facility. Pump It Up of Tacoma is one of the leading birthday party venues in the Pierce, South King, Pennisula and Thurston counties. 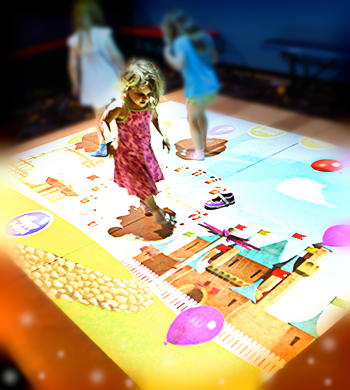 We host PRIVATE fun entertaing parties as well as have open jump time during the weekdays. Been in the community for over 7 years and looking forward to many more to come. 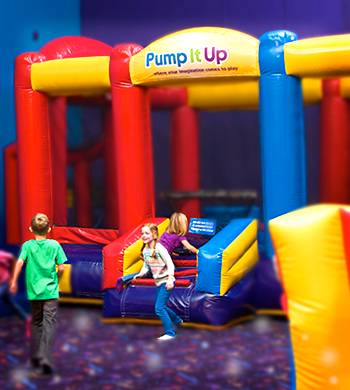 Pump It Up started out of a love for kids, and truth be told, we’re all still young at heart! That’s why we created the funnest, most happiest private party place in the universe for kids. We love to see families and friends just being themselves in a private-party environment, going a little wild, and sharing memories that will last a lifetime. We understand you're too busy to worry about planning and that you want your kids to feel like the center of attention. We know you'd like your inflatable parties to be unique, exhilarating, and stress-free. We know our popularity is due to YOU and since opening our store in 2009, we've never stopped improving and refining our internal systems to ensure we offer our guests the best experience and the best value. Thanks for making us part of your family life! "The staff was great at making sure we were comfortable and knew what was happening at all times. They not only watched the kids, but they entertained them when the kids were getting sidetracked. 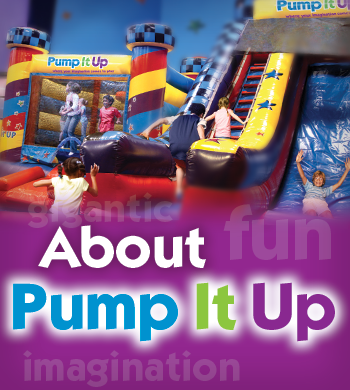 We will be recommending Pump It Up! to everyone!" "The staff were all very friendly and helpful throughout the entire process. Our party was for a bunch of 3 year old with a lot of energy and your staff had the best attitude and interaction with them. So kudos to the staff for an Awesome Job!" "I love that everything is taken care of down to staff taking gift notes and cutting cake! It is a fun place for kids and adults to enjoy play time together, which is awesome! We had a great time, and our guests really enjoyed the play time and facilities." "Our experience was sensational and our hosts were the best, very child friendly and the kids were very comfortable with their help." "Everything was perfect. Thank you all for doing a great job." "My Child Said" I had the best Birthday Ever".. she turned 5 ~ but it was absolulty precious.